The monsoon is bringing moisture into the Four Corners from the Gulf of Mexico. Durango has a 30 to 40 percent of rain Saturday and a 20 to 30 percent chance Sunday. 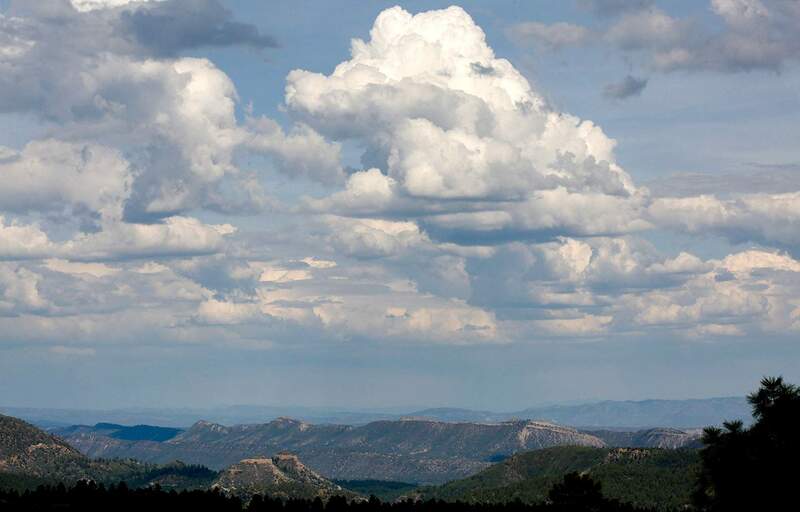 Recent rains in the Four Corners have come from the Gulf of Mexico, so they are certainly monsoonal, said Megan Stackhouse, a meteorologist for the National Weather Service in Grand Junction. Plus, the monsoon is well underway in Arizona and New Mexico, she said. Over the weekend, the best bet for rain in Durango is Saturday. There is a 30 to 40 percent chance of thunderstorms Saturday and a 20 to 30 percent chance Sunday. Storms will continue to favor the mountains north of Durango. High temperatures will be in the low 90s, which is above normal for this time of year. Normal highs are in the mid-80s, Stackhouse said. Moisture and scattered storms can be expected Monday and Tuesday. Skies may clear up later in the week. As moisture continues to come into the region, flash flooding near the 416 Fire burn scar is an ever-present threat. Stackhouse said the Weather Service will continue to monitor the area and issue flash-flood advisories if there is a chance of heavy rain over the burn area. Because erosion occurs much faster after the earth is scorched by fire, flooding will be a long-term concern over months and even years. Tuesday saw the first major incident of flooding and debris flows onto the railroad tracks, U.S. Highway 550, County Road 250 and KOA Campground and adjacent properties north of Hermosa. The Climate Prediction Center has said that the month of August will see above-average precipitation and above-average temperatures.